This is a beautiful 3 hoop petticoat / crinoline. This 3 hoop crinoline slip is the perfect slip to add fullness under your Bridal Gown, Ballroom Dress, Formal Wear and Prom dress. This petticoat / crinoline consist 2 layers of tiered net and 1/2" lace trim. There is also a comfortable inner layer so the tulle net does not scratch or rub against your skin. This crinoline slip features a wide waistband for a snug fit. The hoops are made of a strong flexible light weight metal frame that can be adjusted to decrease or increase the fullness of the slip. The lightweight framework is encased in a layer of fabric. The metals may be removed from the slip for machine washing purposes. The hoops are very flexible and allows you to loop the hoops around themselves making it small and compact to fit into a carrying bag. 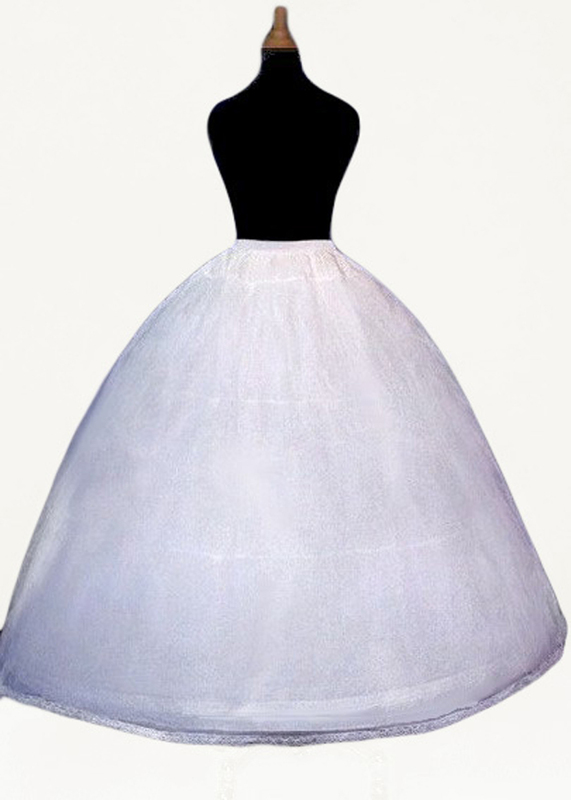 This petticoat / crinoline is strong enough to hold up the heaviest bridal / evening dress. Size: Elastic Waist Fits 24" to 46"
Circumference: Bottom Hoop Circumference = 125"
These hoops are the best find on the net! I ordered two and they were at my door in less than a week! I love the fit and the flexibility. I portray a Tudor queen at renaissance faires, and all my ladies order here! The shipment of the slip was crazy fast! PiggyTiggy is a rock star seller, their prices are beyond competitive and the speed in which they get the product to you is beyond imagine. If you choose to shop from someone else, it's your loss. Thanks a million, PiggyTiggy! Thank you PiggyTiggy! This slip fits my dress perfectly and the price and quality are much better than the one I saw in Dave Bridal!! I love this slip! 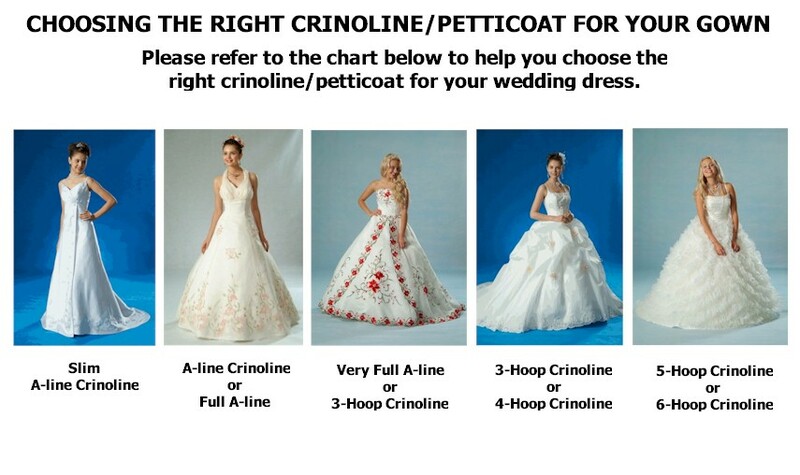 Perfect fitting and the best customer service in wedding business!! Thank you -- PiggyTiggy !